Did the 'Game of Thrones' creators spoil the Night King's identity? The Night King's identity has always been a mystery. But there is some evidence that may suggest otherwise. The Night King is, without a doubt, the most mysterious figure in the entire "Game of Thrones" universe. This is largely due to the fact that he is a show-only character since there haven't been any sightings of the White Walker leader in George R. R. Martin's "A Song of Ice and Fire" book series so far. However, there have been some recent speculations regarding the true identity of the Night King as YouTube user Gray Area pointed out to some evidence that may or may not suggest that the fearsome White Walker leader is actually someone we know from the books. So let's dive right in and further explore this possibility. YouTube user Gray Area argues that the Night King is, despite the popular belief, none other than the legendary 13th Lord Commander of the Night's Watch, the infamous Night's King. 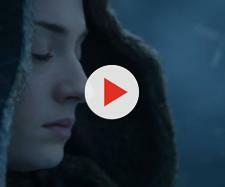 As evidence for this theory, she points out this information bar available only if you are watching "Game of Thrones" Season 5 Episode 8 "Hardhome" on "Amazon." Take a look at the sidebar to the left down below. As you can see, the sidebar clearly states that the showrunners David Benioff and D.
B. Weiss basically confirmed that White Walker leader we see in the show is, in fact, the Night King from the books, a legendary figure presumed to be long dead. But what's even more interesting is the fact that he was referred by "HBO's" viewer's guide as the Night's King already in season four's "Oathkeeper," but the name was quickly removed. So basically, we are led to believe that they made the same mistake twice. But why would they do that? Perhaps they named him the Night King to add more mystery to the character. If so, the showrunners got away with a huge spoiler for the final season. Now, before any further analysis, let's talk about the Night's King legend. In the "A Song of Ice and Fire" novels, the Night's King was 13th Lord Commander of the Night's Watch, who fell in love in what appeared to be a female White Walker. Then, he brought her to the Nightfort, where he declared himself the Night's King and bound the brothers of the Night's Watch to his will through sorcery. For 13 years, they would rule, and for that period they were making human sacrifices to the White Walkers, until Brandon the Breaker, the King in the North, and Joramun, the King Beyond the Wall, joined forces to defeat him. Then, all records of the Night's King were destroyed and he was lost to history. So now, nobody really knows who he really was, but old Nan believes that he was the brother of Brandon the Breaker, the King in the North at the time. Is the Night King this legendary figure? Before we answer this question, let's see what George R. R. Martin himself said on the matter: "As for the Night's King (the form I prefer), in the books he is a legendary figure, akin to Lann the Clever and Brandon the Builder, and no more likely to survived to the present day than they have." This quote, as well as season six's "The Door," where we saw that the White Walker leader was created by the Children of the forest, seem to suggest that he is not the legendary figure from the books. But then again, there are some striking similarities between the two. And then there's this scene from "Oathkeeper." You can clearly see twelve White Walkers in the back. In conclusion, we can say that there is still a chance for the White Walker leader we see in the show to be the 13th Lord Commander of the Night's Watch in the show. And the reason why they changed his name lies in the fact that they wanted it to be revealed in the final season. But he will definitely have a different backstory than the one he has in the books. If so, it won't be the first time David and Dan took a huge departure from the books. Check out Gray Area's video below for more evidence for this rather unusual theory.